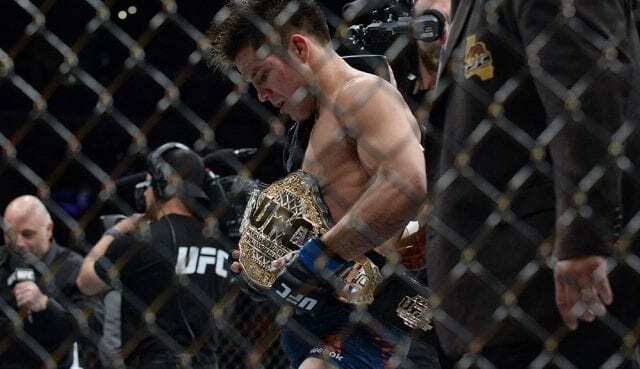 “The Messenger” did the unthinkable last August when he defeated the longest reigning champion in UFC history Demetrious Johnson at UFC 227. Cejudo will now defend his flyweight title against Dillashaw and to a lesser degree, Cejudo is fighting for the entire flyweight division’s future. Dillashaw will look to become only the fourth person to hold the title “champ-champ”, as Conor McGregor, Daniel Cormier, and Amanda Nunes have done before him. 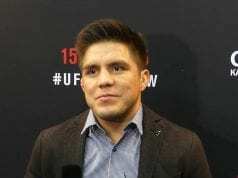 The former Alpha Male star has ambitions of becoming the greatest pound-for-pound fighter the sport has ever seen. It starts with UFC on ESPN+ 1’s main event. Fighters touch gloves to start. Cejudo takes center cage and throws a head kick, Cejudo clips Dillashaw, TJ is flopping around trying to regain his composure. Cejudo lands another left hand and unloads a bunch of punches. The ref steps in. WOW!